The Dark Knight Rises is now showing on theaters near you beginning Friday, July 20. For all die-hard fans of Batman (aka Dark Knight), here is the Windows 7 theme pack to decorate your desktop with your favourite DC Comics superhero. 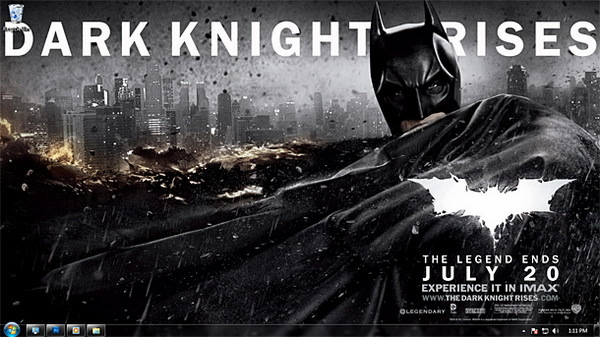 The Dark Knight Rises theme contains 14 high resolution (1920 x 1080) wallpapers and a color change scheme. There is however no change to icons, sounds, skins or mouse pointers.